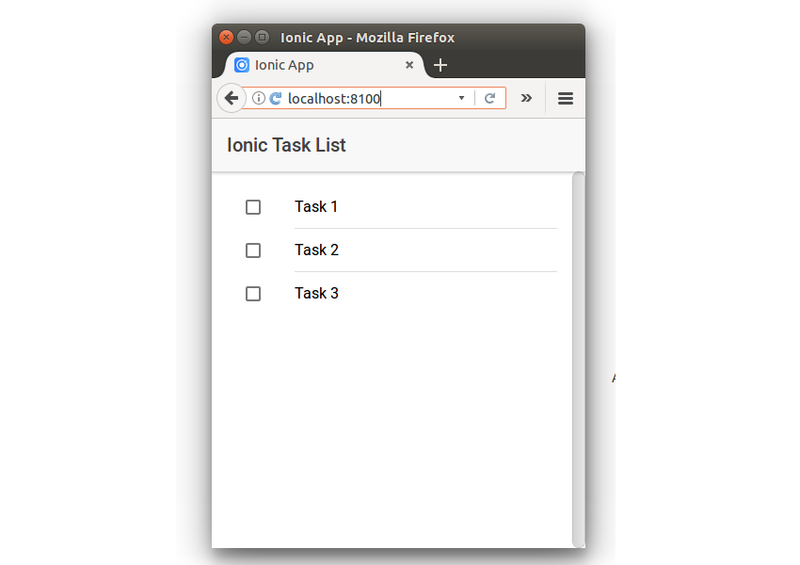 In this tutorial series, you'll learn how to get started with creating a mobile app using the Ionic framework. Ionic uses Angular for writing the components and creating the mobile app. 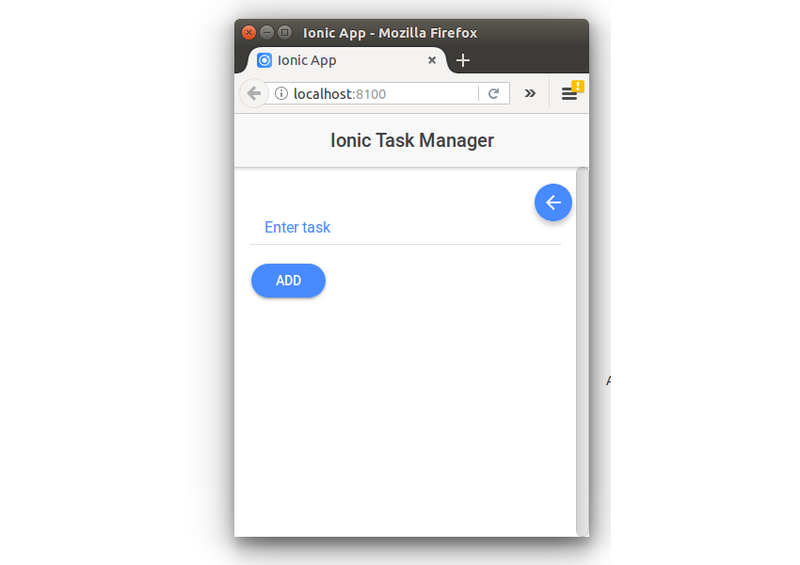 Throughout the course of this series, you'll be creating a simple task manager mobile app using the Ionic framework. 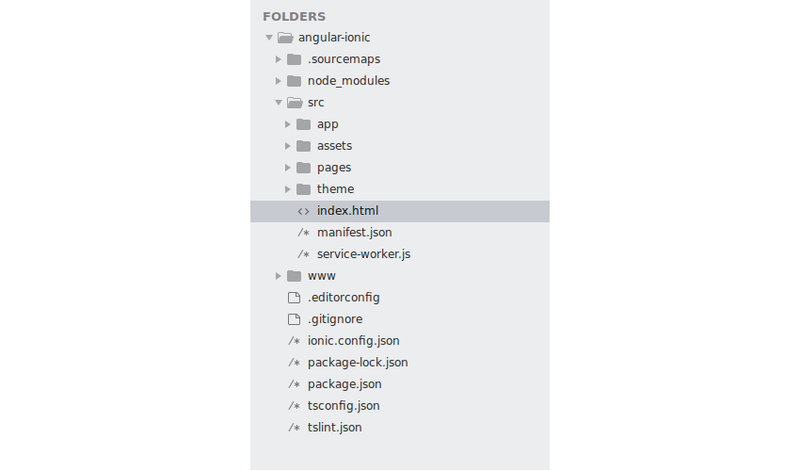 Let's get started by installing Ionic using Node Package Manager (npm). Before installing Ionic, make sure you have Node.js installed on your system. You'll be testing the Ionic app in the browser until it's complete. Once complete, you'll test the application on an Android device. Type in the following command to run the app from the browser. Point your browser to http://localhost:8100/ and you should have the Ionic project running. Inside the Ionic project, you have a folder called src/app. Inside the app folder, you will find a file called app.module.ts where the root module AppModule is defined. MyApp has been imported from the app.component where it has set the rootPage as HomePage, which shows up when the app loads. Let's create the view for listing the added tasks. Inside the src/pages folder, create another folder for the list component called list. As seen in the code above, you have used Ionic-specific tags for creating the elements. You can refer to the Ionic official documentation to get a list of Ionic component APIs which you can use while creating your templates. You have defined the task listing component using the @Component decorator. Inside the @Component decorator, you have defined the selector using the selector key and the template using the templateUrl key for the component. The application needs to know that the above created component exists, and hence you need to import it inside the root module. When the application loads up, you want the newly created List component to show up instead of the HomePage. So modify the rootPage defined inside the app.component.ts file. As seen in the above code, you imported the ListPage inside the app.component.ts file and changed the rootPage to ListPage instead of HomePage. You should have the mobile app running at http://localhost:8100/. From the listing screen, you'll add a link to add items to the list. Let's place an add icon on the right side of the screen. Inside the list.component.html file, add the following to add the plus icon. Save the above changes and restart the server, and you will have the plus icon displayed on the screen. When the user clicks on the plus icon, you need to show the screen to add new tasks. So let's create another component called the Add component. The above code displays the screen to add a new task. You need to display the above screen when the user clicks the plus icon on the list screen. So you'll be showing it as a modal popup. As seen in the above code, you just created the Add component by specifying the selector and templateUrl. To show the AddPage component in a modal popup, you need to import ModalController provided by ionic-angular. Import ModalController in list.component.ts. Register the click event on the add button in list.component.html. Save the above changes and restart the Ionic server. Click on the add icon in the list page and you will have the add task page. For the back button on the add task screen, you need to add a dismiss method on the button click in the add.component.ts file. 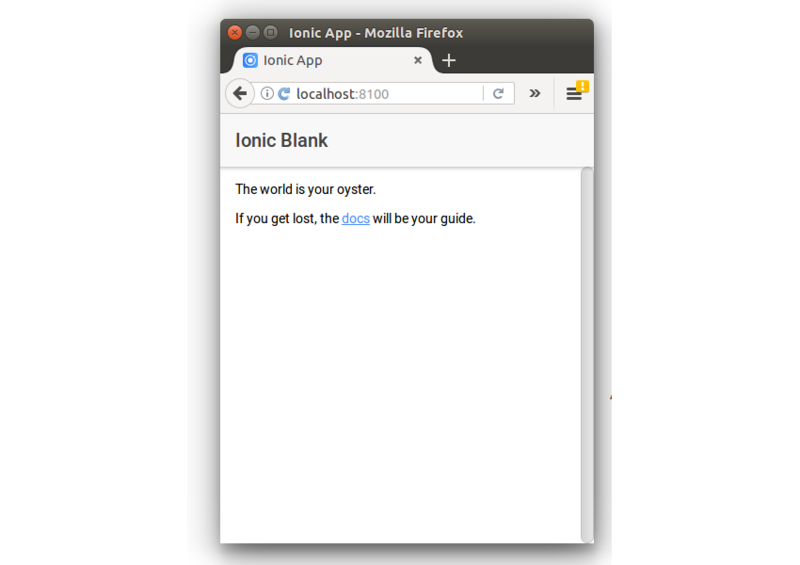 In this tutorial, you saw how to get started with creating a mobile app using the Ionic framework, which uses Angular. You created the view for a task manager app. You created the Add component and List component. In the next part of this tutorial series, you'll implement the functionality for the task manager app to add and list tasks. Do let us know your suggestions in the comments below.